Fermented foods are foods that have gone through a natural lactofermentation process, so are, in a way, partially pre-digested. This process occurs when the naturally occurring bacteria present in food feeds on the sugars and starches, creating lactic acid. The end result of this process leaves you with increased preserved nutrient content, and many beneficial enzymes. And, they are chalked full of probiotics, which are healthy gut bacteria. Kefir is a specific form of fermented food, and is a dairy beverage typically made from cow’s milk or goat’s milk. It has become all the rage in the natural health community, and for good reason. Kefir can also be combined with different fruits or other natural flavoring agents, but we’ll get into that a bit later. Often when we hear the word “bacteria,” we think: BAD. In fact, our gut is filled with endless good and bad bacteria that work in conjunction, and are essential for not only digestive health, but immune support. Fascinatingly, the bulk of our immune system lives in our gut, which means that without proper gut flora, we are much more susceptible to a myriad of diseases stemming from poor immune health. Remember that leaky gut syndrome is at the root of every autoimmune condition, and a lack of healthy gut bacteria is a leading cause of this condition. Sadly, many ancient customs of fermentation have been lost, and we have moved worldwide towards more processed, refined foods. And if you look at the trend of degenerative disease, we certainly aren’t doing ourselves any favors. Read on to learn more about the health benefits of kefir, and how to incorporate it into your regular diet. Not only is kefir an excellent source of gut healthy probiotics, but it also provides a surprising and impressive amount of other key nutrients. A six ounce serving of kefir offers 20% of the RDA (recommended daily allowance) for calcium, 20% of the RDA for phosphorus, 14% of the RDA for vitamin B12, 19% of the RDA for Riboflavin, 5% of the RDA for magnesium, and some vitamin D (1). That same six ounce serving is fairly low in calories (about 100), which consists of six grams of protein, three grams of fat and seven grams of carbs. As if that weren’t enough, kefir also contains a myriad of bioactive compounds that provide various health benefits. Remember that kefir can be made with coconut milk or water if you are sensitive to dairy, but it won’t contain the same nutrition content and benefits (but will still contain probiotics). Yogurt is probably the best known fermented food on the market, but kefir actually offers more probiotic content than yogurt. Probiotics are strains of microorganisms that are crucial to our health, and many aspects of modern day society put our gut health at risk (over-use of antibiotics, lack of fermented foods in the diet and an abundance of processed/packaged foods, for instance). Probiotics have been linked not only to proper digestive health (2), but also proper brain function (3), weight management (4) and and a healthy immune system. Kefir contains at least 30 different strains of good bacteria, so is an excellent source of fermented foods to include in your diet. And the good news for those with dairy sensitivity is that many people will tolerate kefir. Osteoporosis is a growing problem in western societies (largely due to diet), and is basically when bone tissue deteriorates, causing malformation and pain. It is most common among the elderly (especially women), but can also affect younger people. Proper calcium intake is key for prevention and treatment of this disease, and kefir is a top choice. Remember, the kefir you buy (or make) must be from whole milk, or it will not offer the same calcium boosting benefits. Kefir is also quite high in vitamin K2, which is essential for proper calcium metabolism. Studies have actually shown that kefir can greatly increase calcium absorption, leading to greater bone density and health (5). Because of its high levels of probiotics (as discussed above) kefir can greatly promote a healthy digestive tract, in the sense of preventing future problems and supporting current conditions (6). For example, an abundance of probiotic rich food in the diet can treat diarrhea, improve protein digestion, and make sure the lining of the digestive tract is properly filtering out the foods that should not pass into the blood stream (on the contrary, damage to the lining can result in (leaky gut syndrome). 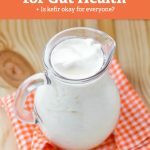 Kefir might even be able to help in treatment of serious GI conditions such as IBS, IBD and Chrohn’s Disease (but this should be discussed with your doctor). Most people are shocked to learn that leaky gut syndrome (more technically termed: increased intestinal permeability), can not only make us more likely to react poorly to foods, but can also increase our chances of suffering from asthma and seasonal allergies. That is because when food molecules are allowed to pass into the blood stream due to a damaged intestinal lining, this prompts our immune system to attack and remain on high alert, making us ultra-sensitive to both food and environmental irritants. 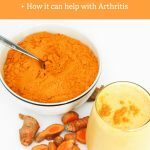 Including kefir and other fermented foods in the diet on a daily basis can help cool inflammation in the body and decrease our chances of suffering from allergies and asthma. The most obvious, easy and common way to use kefir is simply to drink it. Whether you’re making it at home (instructions on how to do so in a moment) or buying it in the store, simply drinking one serving of kefir per day can add massive health benefits to your daily diet. Some people enjoy it plain, but you can also make or buy it with added fruit and other natural flavoring agents. Grains are better digested and assimilated if they are soaked beforehand, preferably overnight. Grains contain a natural plant compound called phytic acid, which can bind to certain minerals, therefore making them difficult for the body to digest. Fermented milk products provide lactobacilli and lactic acid which make grain digestion much easier, therefore causing far less irritation to the digestive tract. Simply soak your grains overnight (or for at least six hours) in kefir, rinse and cook as you normally would. Now here’s a more exciting way to use kefir! Whip up a delicious and far healthier version of store-bought ice cream by following this recipe, which combines coconut milk, regular milk (raw, if possible), and natural sweeteners like maple syrup with kefir to make a special treat for the whole family. Your skin can benefit from fermented foods, too. Proponents of the kefir face mask claim that it can help with the acid/alkaline balance of your skin, which makes sense when you consider kefir’s rich nutrient base. 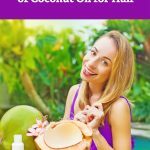 For dry skin, mix two tablespoons of kefir with one egg yolk and two tablespoons of olive oil, and for oily skin, mix two tablespoons of kefir with one egg white and one tablespoon of honey. Mix the masks thoroughly, and apply to your face for about 20 minutes, rinsing off with warm water and then splashing with cold. Similarly to yogurt, kefir can be used to make some yummy and nutrient dense dips and sauces (worlds better than your typical, store-bought dips). For example, try making your own version of ranch dressing by mixing together plain kefir, mayonnaise (preferably homemade), extra virgin olive oil and a combination of spices. Your guests are sure to be impressed with this one. If you have a severe dairy allergy or sensitivity, you might experience side effects from kefir. If you’d like to experiment, start with just a small amount and see how your body reacts. If you tolerate it, try upping the amount you consume the next time. If you experience any of the same side effects you would normally experience with a reaction to dairy, you probably are not able to tolerate kefir. As an alternative, you can find kefir made with coconut milk or coconut water. No conclusive studies have been done on the safety of kefir for pregnant and breast feeding women. Some health experts would claim it is perfectly safe, while others would not. If concerned, speak with your healthcare practitioner, and always make sure your kefir is coming from a clean and reliable source. Kefir is considered safe in small amounts for children over the age of one. If you have a compromised immune system due to HIV/AIDS, cancer or another condition, kefir could be dangerous due to its plethora of actively growing yeasts and bacterias. While evidence is not conclusive, this could potentially lead to increased risk of infection in those with lowered immunity. Kefir is a fermented dairy beverage that can be purchased or made at home. It most commonly comes from cow’s and goat’s milk, although it can also be made into non-dairy versions using water, coconut water or coconut milk. It contains a slew of health benefits, and it most widely known for its probiotic content. What are the health benefits of kefir? 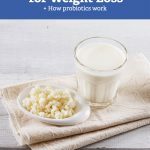 Kefir has been shown to support healthy digestion, prevent and improve allergies and asthma, prevent and treat osteoporosis (if consuming the dairy version), work as an anti-bacterial agent, and possibly even protect against certain forms of cancer. How is Kefir made/how can I make it at home? In a jar, use 1-2 tablespoons of kefir grains (which can be purchased online or from anyone else you know who makes their own kefir), add two cups of milk (preferably whole, raw milk) and leave about one inch of space at the top of your jar. If you prefer a thicker version of kefir, also add some grass fed (and raw) cream to the mix. Put the lid on the jar and leave for 12-36 hours. You’ll notice that the mixture starts to look clumpy, which means it’s done. Strain out the liquid, and this is your kefir. Use the remaining clumps (grains) to start the process over again! Or, give away to your friends so they can make their own. For even more detailed instructions, visit this site. Where can I buy kefir? 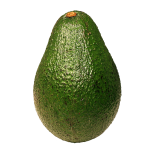 If you opt to buy it, you can purchase it in most any health food store, co-op, or even your local farmers market or conventional grocery store, depending on where you live. For the most part, yes. If you have any disease or medical condition that compromises/lowers your immune system, or are pregnant or breast feeding, you should check with your doctor or healthcare professional. What if I don’t like the taste of kefir? 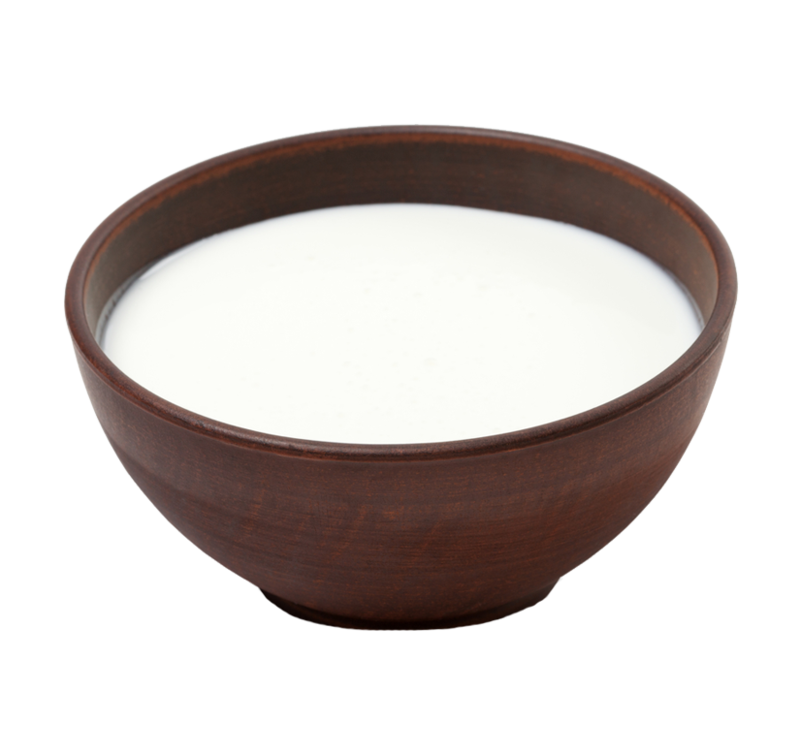 Plain kefir has a sour, acidic taste that some people don’t like (similar to plain yogurt, but even a bit stronger). You can simply add a bit of raw honey or maple syrup to plain kefir, or you an purchase (or make) flavored kefir. If making at home, make sure not to let your kefir ferment for too long, as this will result in an even more sour end product. You can also buy kefir that is pre-mixed with fruit (make sure there is no added sugar), or you can blend it yourself with fruit, cinnamon, a bit of honey, etc to sweeten it. Is it true that kefir contains alcohol? All cultured and fermented foods contain some alcohol from the fermentation process. While it will slightly vary from batch to batch, any properly prepared kefir should contain a very low amount of alcohol, and is still safe (in small doses) for children over the age of one. What are the differences in health benefits between milk and water kefir? Water or non-dairy sources of kefir will contain less calcium and usually a lower probiotic count (and different probiotic strains). If dairy kefir can’t be tolerated, non-dairy sources are a great option. However, dairy kefir is the most nutrient dense option. What if I’m sensitive or allergic to dairy? Most people that are dairy sensitive can still handle kefir, but experiment to be sure. Try just a little bit and see how your body reacts. If you experience a bad reaction, you probably will need to avoid kefir and opt for non-dairy fermented food sources (or non-dairy kefir). What are other types of fermented foods? Raw Sauerkraut: This is traditionally fermented cabbage, but can include many other vegetables, as well. Be sure to purchase the raw form, as this is what offers the nutritional benefits. I love to include 1/4-1/2 cup on the side of any meal, and eating it daily is great for maintenance. Kimchi: Also a vegetable-based option, this is a typical Korean fermented dish. It is typically spicier, but can be enjoyed on the side of any meal. Kvass: Often made from beets, this is a fermented drink originating from Eastern Europe. You can include one serving per day (8-12 oz), and purchase it at your local health food store or online. Kombucha Tea: Also a fermented drink, this is a tea and comes in it’s original (unflavored) version, and also with many varieties such as ginger, citrus, lavender, etc. The options are endless! Yogurt: Similar to kefir in the sense that it is a dairy-based fermented food and should be avoided by lactose intolerant individuals, high quality yogurt can offer great probiotic benefits. When choosing yogurt, be sure to opt for whole fat, plain instead of low/no-fat options that have added sugar. Get access to nutritional information for every recipe by signing up for a free account! © 2019 Healthy Hints. All rights reserved.